On a secret shelf in her closet, my 4-year-old daughter has created a “science area.” This special spot houses sand dollars and shells, rocks and pinecones. Today we will add her eclipse glasses! I joined her at preschool on Bainbridge Island Monday to share my enthusiasm about our cosmos and to continue to foster her interest in science. 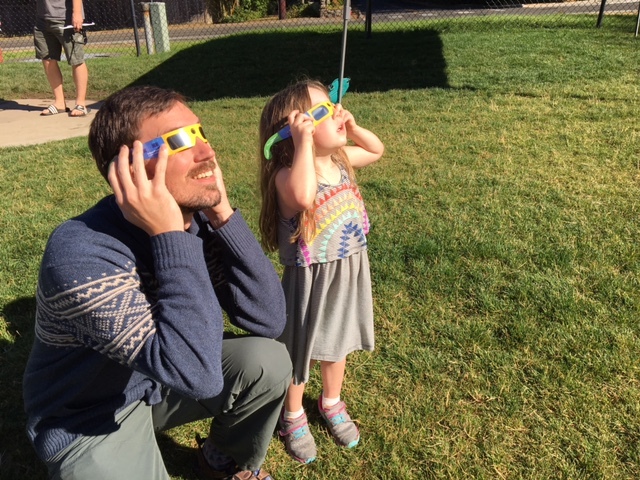 We listened for birds, marveled at crescent-shaped shadows and rushed inside to watch totality via a YouTube stream, as well as to grab her sweater when the temperature dropped. Not quite totality in western WA, but still totally cool! 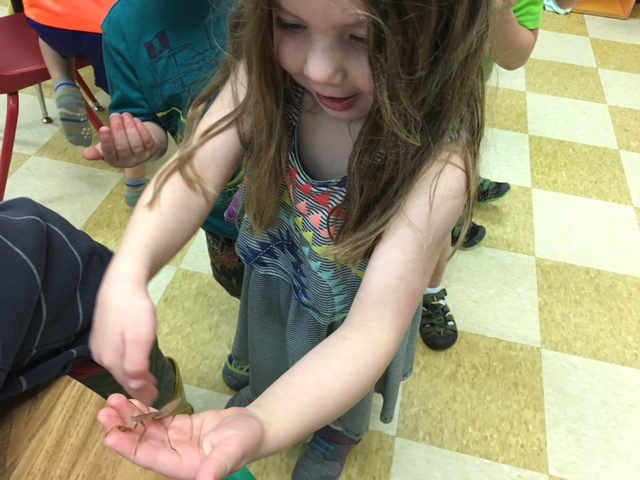 Where else but preschool can you start a morning with cosmic science and end it with a praying mantis? Our “science area” at home is inspired by my daughter’s fantastic teacher, so it was fitting after the eclipse that the kids got to show off the classroom’s praying mantises, which they’ve grown and nurtured to adulthood. And speaking of growing up, I plan to nurture this science bug in my daughter for as long as she’ll allow it! Wondering what to do with your leftover eclipse glasses? Astronomers without Borders is collecting them for global sharing! The Great American Eclipse of 2017 offered a great opportunity to teach kids about the natural connections throughout our universe. "I hold a new perspective on the wonder around — above and below the heavens. A cosmic event brought me right back to Earth, our only home."